What were you doing when you were 20 years old? Many pages of the calendar have turned since I was 20, but I still have a memory or two of that year – and I’ll share one of them with you this month. Plus, you’ll find a link to a very special commencement speech. A memory from my 20th year: Don’t touch that dial! 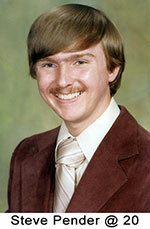 The year was 1976. I was a couple of months into my junior year at college, where radio was my life. 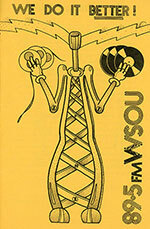 When I wasn’t in class, or working part-time to earn enough money to pay tuition and buy lunch at the Campus Sub Shop, you’d find me at the Seton Hall University radio station, WSOU-FM. I loved being in front of a microphone, and did everything from reading news, to anchoring our election-night coverage, to spinning records on both an early-morning pop music “wake up” show called Bacon ‘n’ Eggs and our late-night “progressive rock” offering called Nightrock. What I really loved, however, was writing and producing; being able to write a script, direct actors, and edit a finished piece of audio that came out of the speakers sounding like it originally did when I “heard it” in my head was a gas. In fact, my first professional award came when I was 20, for a series of promotional announcements I wrote, directed and produced for Nightrock. If you’d like to hear one of those spots, first aired in 1976, just click on the audio player below. A historian looks to the future. 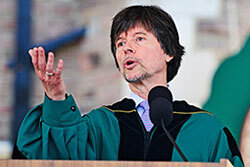 May and June are the months for commencement speeches, and renowned documentarian Ken Burns (The Civil War, Baseball, Jazz, The War) recently gave a thoughtful and passionate one, grounded in history and with an eye on the future, at Washington University in St. Louis. You can watch his speech here. I think you’ll be glad you did.